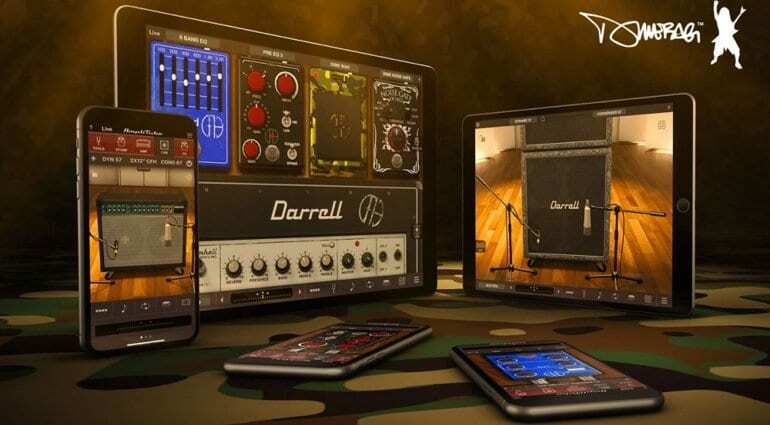 IK Multimedia has launched a Dimebag Darrell Cowboys From Hell Collection for Apple iPad and iPhone. 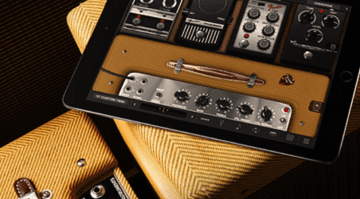 This package gets you a raft of metal tones on your iOS devices. Previously, it was only available for PC/Mac, but now with the iOS release, you can easily take it for a walk! The late Pantera guitarist’s entire amp rig has been modelled with help from Dimebag Darrell’s old guitar tech Grady Champion. 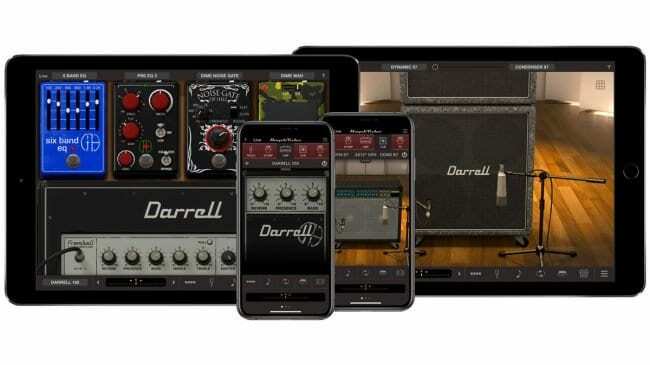 Working in conjunction with the Italian virtual amp pioneers at IK Multimedia, you can now run the whole Dimebag Darrell Cowboys From Hell Collection on your iPad or iPhone via Amplitube. This collection gets you the whole setup for the famous Pantera album, Cowboys From Hell, with nine new gear models. These include two amps, two cabinets and five stomp boxes. 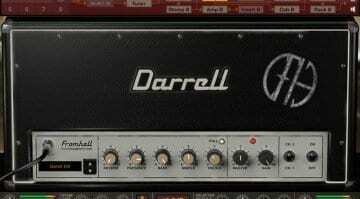 The Darrell From Hell 100 is modelled after Dime’s favourite Randall RG 100ES solid-state, 120 watt amplifier. 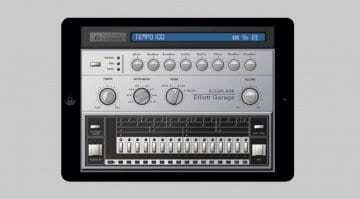 Plus, the Jazz Amp 120CFH models his 1986 Roland JC-120, a stereo amp that was used on the song Cemetery Gates. You also get the matching cabinets for each amp including the 4×12 Darrell From Hell 412 and the JP Jazz CFH which was a 2×12. Dimebag used a handful of pedals to get his signature sound and these are all included in the collection. These stompboxes include a Six-band graphic EQ based on a unit by MXR. Pre EQ 3 – Three-Band Parametric EQ based on the Furman PQ-3. 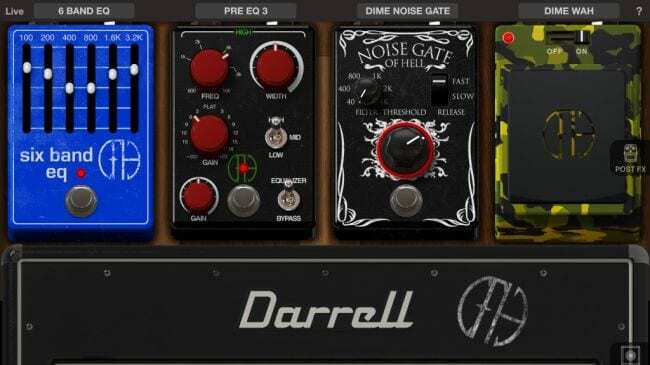 The Flanger Doubler which is based on an MXR Flanger Doubler, Dime Wah, this is modelled on his Dunlop Cry Baby GCB95 and finally a Dime Noise Gate that is based on the Rocktron Hush IIB model. Essentially, if you use Amplitube on iOS and like or appreciate that Dimebag Darrell tone on Cowboys From Hell, then this is a no-brainer. Personally, I think the bundle price is more than reasonable and works out a lot cheaper than buying separate components. 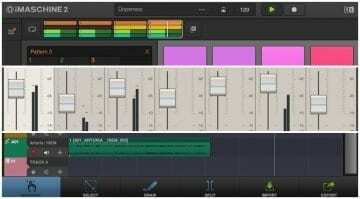 You can download it all via an in-App purchase within Amplitube on iOS.